In a previous blog, we discussed a couple of useful configuration tips that were apparently pretty popular. So, I’m going to share a couple more useful tips for my fellow field engineers that are new to Brocade IOS. 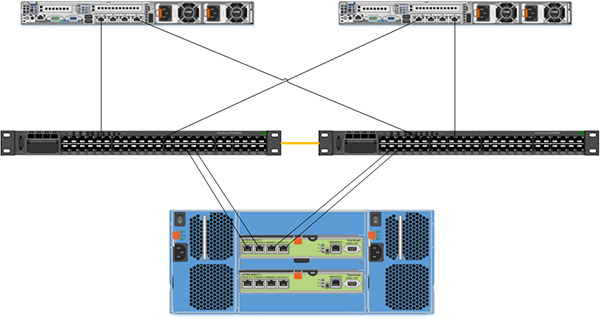 These configuration tips are taken from known working configurations on the ICX Platform. Sometimes while working on new flavors of network gear, you learn a few things that should be posted for other engineering folks, to help make life just a bit easier. TBNG Consulting provides clients with several options for Layer 2/3 network switching gear. Lately, our project engineering teams have been implementing several Brocade Ethernet switch upgrades. To this end, I’m providing two useful tips for my readers. You can thank me later. This has happened to all of us at one point or another—you copy over a switch configuration with AAA Local authentication enable, but one forgets to configure the proper privilege (e.g. level 0 for read/write) for the admin username – and suddenly, BAM! Locked out. 2) Type the letter B prior to loading of flash to enter Boot Monitor mode. This is very useful for those pre/post sales engineers, particularly as many companies migrate to faster 10 Gbps speeds. By default, Brocade ICX switch ports 1 and 3 are 10 Gbps stacking ports. Additionally, without a license at bootup, ports 2 and 4 come up in 10 Gbps port speed in an error disabled state. To enable ports 2 and 4 to 10 Gbps port speed, purchase the Brocade ICX6450-2X10G-LIC-POD license. TBNG Consulting can help with Brocade switching solutions for your organization. Contact us today, at contact@tbngconsulting.com or at 855-512-4817, for additional information.